Automation refers to the process of automatically producing goods through the use of robots, control systems and other appliances with minimal direct human operation. Within manufacturing industries, automation has led to increased labour productivity as fewer workers are needed to produce the same number of manufactured goods. A perceived downside of automation is that it leads to jobs being displaced in traditional areas of work – in particular, ’blue collar’ manufacturing jobs. Less visible is how the process of automation leads to the creation of new jobs in areas such as robot manufacture, research, marketing and software development. However, there are still concerns about the social and economic impact of the rapid job displacement associated with automation and globalisation. In fact, there is an enduring concern automation is costing jobs – an idea some economists argue is just an enduring faith in the Luddite fallacy. 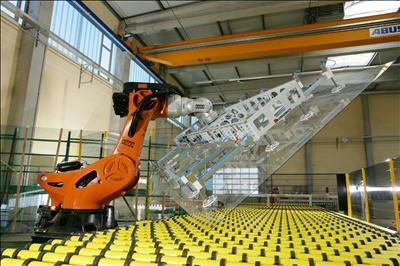 Automation enables firms to produce goods for lower costs. Automation leads to significant economies of scale – important in industries which require high capital investment. Automation enables firms to reduce number of workers, and this limits the power of trades unions and potentially disruptive strikes. Automation also enables a greater economy of scope. This means that one factory is able to produce a greater range of goods; this diversity and product differentiation is as important for firms as lower unit labour costs. In the 1950s, the goal was to produce goods as cheaply as possible. Now, consumers are looking for greater customisation of products. Automation enables consumers to be able to customise the size, look and function of your fridge – rather than just picking a standard model from the assembly line. Automation can also enable shorter lead times, quicker delivery and more efficient use of stock and cash flow. Requires significant capital investment and the benefits may take several years to exceed current production methods. Firms who are under short-term pressures may be reluctant to take the investment needed, and lag behind. Lack of investment in automation has been put forward for poor growth in labour productivity in US and UK. Requires more specialised labour to develop software and maintain machinery. 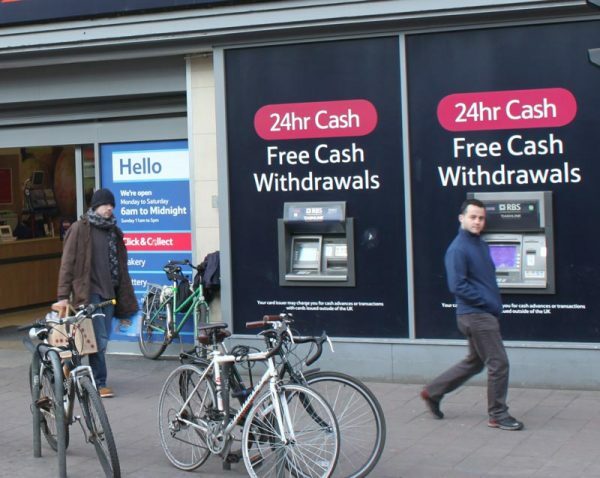 ATM Cash withdrawals – Also ‘Click and Collect’ – all positive examples of automation for the consumer. In addition to the benefits accruing to firms, automation can have various benefits for wider society. Consumers have gained the convenience of greater choice of goods and services. For example, ATM cash machines are a very simple example of automation which enables people to get cash when banks are closed. Lower costs of production enable lower prices, leading to more disposable income to be spent on a wider range of services. Leads to the creation of new kinds of jobs, which are more creative, less repetitive and enable more flexible labour markets. For example, rather than do repetitive jobs in a factory, young workers can become software engineers to develop the ideas, design and methods that the robots will then make. More profitable firms should, in theory, enable governments to receive more tax revenue to spend on public goods. Automation is essential to remain internationally competitive. If one country doesn’t automate, production will shift to those countries who do, and then gain comparative advantage. It can create winners and losers. Some will benefit significantly from automation – owners of more profitable factories, and software developers. However, those who lose jobs from the process of automation, may struggle to gain equivalent employment. In recent years, there has been a rise in male unemployment and inactivity across western Europe / US. Globalisation and automation has been suggested as one reason for these higher structural rates of unemployment – especially amongst unskilled male workers. Even those who have found work, often find it is in the gig economy – zero hour contracts, involving low pay and uncertainty. This has created ill-feeling towards the direction of the economy – despite higher GDP. Impact on equality. The process of automation has co-incided with a rise in levels of inequality in UK and US. There are many reasons for the rise in inequality, but the fear is that some benefit from automation more than others. Automation may increase corporate profit, but not necessarily median wages. Since 2008, we have seen a rise in real GDP, but median wages have stagnated. Company profit has increased, but the share of tax revenue paid by companies is not increasing. 3d printing and automation of customised production are just in their infancy. Over the next few years / decades we could see a prolonged revolution in labour markets. Quite soon we could see driver-less taxi’s, and print on demand services for a whole range of goods. If this occurs, we could see further pressures on old fashioned styles of jobs. The labour market could see further fragmentation between ‘insiders/high skill’ and outsiders/low skill. Automation is a major influence on the economy and will continue to be over the next decade. In theory, automation can lead to significant benefits for the whole economy. Greater GDP, higher productivity and increased customisation of the consumer experience. However, there are legitimate concerns about how these gains will be distributed. It is tempting to dismiss all concerns of new technology as the old Luddite fallacy. But, there is no guarantee that displaced workers will be seamlessly integrated into a very different labour market. But, on the other hand, it would be a mistake to be too pessimistic. Past trends in automation have served the economy well. Who would go back to a time of 1 million people working as coal miner or 90% of the population growing their own food? Automation will lead to new opportunities, and with increased technology, we could see the potential for a revitalisation of cottage industries – with self-employed workers having the ability to use their creativity to join a fast changing economy. Jobs and now they are unemployed so we also need to focus on unemployment.